The Detached Body Daddy Long Legs or Cranefly, is one of the most popular terrestrial patterns accounting for huge numbers of trout throughout the season. Fished around areas of vegetation this Daddy Long Legs pattern regularly pulls up both brown and rainbow trout. It can also be fished from a boat in a steady wave. The Adams Irresistible is a general suggestive pattern and will cover numerous insect hatches. A must-have dry fly and should be in the box of every fly fisherman. This pattern is highly versatile and very effective trout pattern. A highly versatile and very effective trout fly pattern. 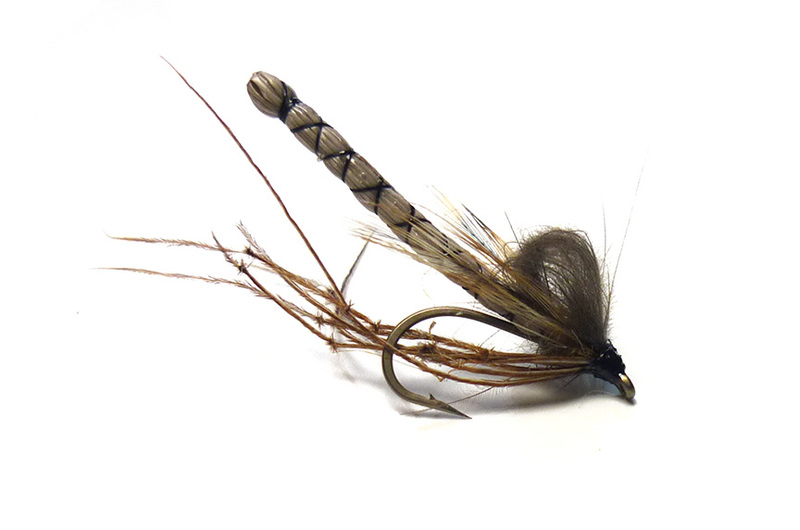 Bristol Hopper Hares Ear is a highly versatile and very effective trout fly.